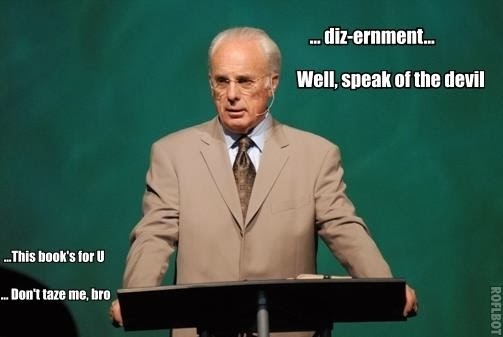 Now that the long awaited Strange Fire conference (Oct 16-18) has wrapped up at John MacArthur's Grace Community Church in Sun Valley, CA, I have a few thoughts on the conference overall and also on Mark Driscoll shameless gatecrashing publicity stunt. First, some general thoughts. 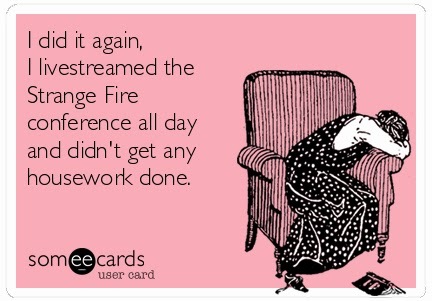 While listening to as much of the conference as I possibly could while homeschooling and doing housework (ahem) at the same time, I wasn't able to give the sessions my complete attention. But one thing I did take note of was a general excitement about this conference, and a joy over the seriousness of theology being deeply discussed. 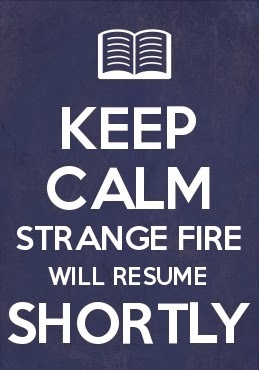 Social media was literally lit up with ongoing commentary and feedback about the Strange Fire conference as it was playing out in real time. Mark, Mark, Mark......what are we to do with you? But let me back up and explain what happened. 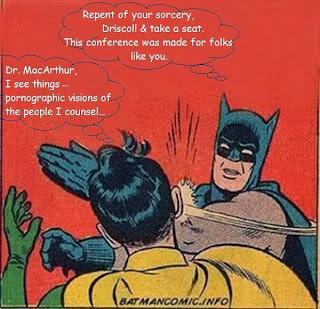 A minor dust-up occurred on the last day of the Strange Fire conference, in which megachurch pastor Mark Driscoll (who is a continuationist/charismatic, and thus holds views contrary to those being taught at Strange Fire) showed up at the conference and tried to hand out his books, probably for the purpose of "correcting" what he sees as the errors of the cessationist movement in general, and the Strange Fire conference specifically. To be clear: Mark Driscoll was NOT a registered participant for this event, and his materials had not been cleared for distribution. Every vendor present at Strange Fire had to go through an extensive vetting process before being allowed to set up their tables. When the GTY security team approached Driscoll and explained this to him, according to those present, Driscoll continued to give out his books. Driscoll was then very kindly told that the security team would help him carry his materials back to his car. At that point, Driscoll told the security team that he would like to give his books to Grace Community Church as a gift. They accepted this "gift," (again, Driscoll's word), and yet when they parted company, Driscoll immediately began broadcasting via social media that his materials had been seized. It was an outright lie, as the video below plainly demonstrates. Mark Driscoll to the GTY personnel: "Why don't y'all just take 'em and do whatever you want with 'em......I'd like to give them as a gift." Mark Driscoll on Instragram, his Twitter feed, and Facebook: "Security confiscated my books." After the surfacing of the video that showed that Driscoll had lied about his materials being confiscated, Driscoll attempted to spin the matter with an article in which he endeavored to smooth over, without taking responsibility for, his social media lies. 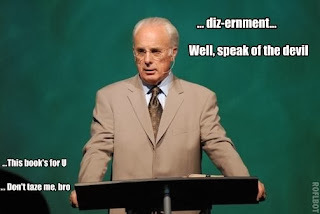 The article, which was also an open letter to John MacArthur inviting him to sit down with Driscoll to discuss some of their theological differences), was very smooth and beguiling. But it was also absolutely inappropriate, in that Driscoll has slandered the security personnel at GTY, and he has yet to publicly apologize for that. A few graphics were generated in the aftermath of the Driscoll dust-up, some of which I've posted here. Please note that in posting these pictures, I'm not meaning to be flippant about what happened at Strange Fire; I'm just showing some of the funnier online commentary that came out of Christians trying to process Mark Driscoll's stunt. For myself, this is where I land: Pastor Driscoll has a very serious responsibility before the Lord and before his flock to be a sober-minded man of the Word, not a prankster or a publicity hound. He's no longer a young man who can blame the brashness of youth; he's middle-aged now, and it's time for him to grow up. I pray for him to repent publicly for his immature actions and for lying about how the Grace Community Church security team handled what happened. Chris Rosebrough of Fighting For The Faith radio weighed in on Driscoll's gatecrashing stunt here and Erin Benziger of Do Not Be Surprised gave commentary as well.